Silver Sable is a Marvel hero and villain. She is known for an off and on again romantic interest of Spider-Man. 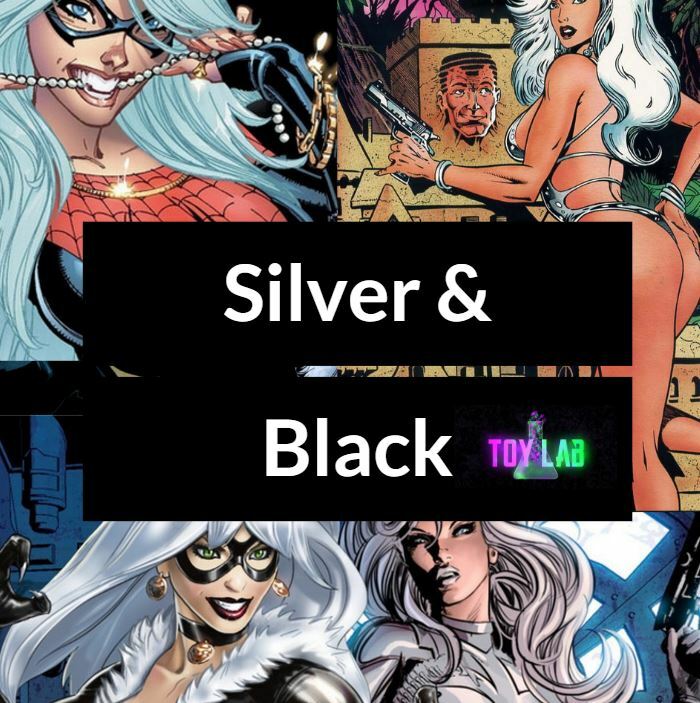 Silver Sable will star in the film Silver and Black along fellow Spider-Man love interest Silver Sable. Silver and Black will not have Spider-Man in the film but will occure in the same universe as Sony's Venom film. Check out these cool Silver Sable items on Amazon! Silver Sable is a mercenary from the country of Symkaria. At one point she purchases the Symkarian embassy in NYC after the country had a revolution. She uses the abandoned embassy as a base of operations for her mercenary force the Wild Pack. 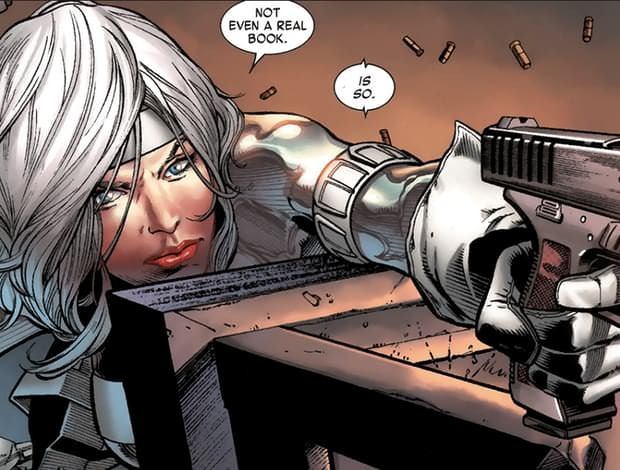 Silver Sable was trained by adventurer father as a mercenary and Nazi Hunter. After her mother was killed by a bomb she sought to train to avenge her. 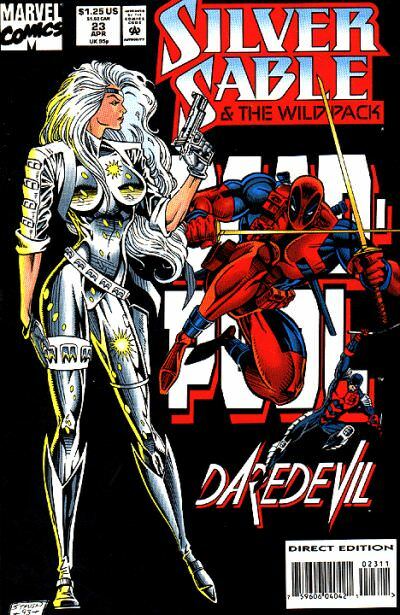 The father and daughter pair created a mercenary force known as the Wild Pack and a company called Silver Sable International. When her father died, Silver assumed control of the Wild Pack. Silver Sable has had numerous run ins with various super heroes most notably Spider-Man. She initially ran into Spider-Man while hunting down a theif called Black Fox. Spider-Man's intervention allowed the Black Fox to escape though he did recover the stolen jewels. Since that time Silver has found herself working with the webslinger. Silver has hired other super powered individuals including Paladin, Puma, Solo, Hawkeye and Sandman. For a time Silver was married to the criminal mastermind the Foreigner until she learned he was responsible for the death of her uncle Fritz. After that point she dissolved their marriage. The Wild Pack was hired to battle the forces of the Jack O Lantern aka Jason Macendale in a small South African nation. She teamed up with Spider-Man to help defeat the Jack O' Lantern. However, despite having the edge on Jack O'Lantern he managed to escape. Spider-Man and Silver tracked him to Coney Island Amusement Park where they were ambushed by a group called the Sinister Syndicate that included the Rhino, Hydro-Man, Speed Demon, Boomerang, and The Beetle. The group nearly defeated and killed Silver and Spider-Man but were stopped by the reformed Sand Man who helped the pair of heroes escape. While they managed to escape the Jack O'Lantern's trail went cold. Silver Sable teamed up with Misty Knight, Shroud and Paladin to uncover who was murdering members of mafia members. Each of the mafia corpses beared the markings of the Hand however Silver and Misty uncovered that they were actually being killed by crooked police who were mascuarading as Hand ninja. The group of heroes took down the crooked police. Flag Smasher attempted to bomb a Symkaria pride parade but was thwarted by Spider-Man. After saving the parade from the bomb Silver gave Spider-Man a long kiss as a thank you and reward from Symkaria. Doctor Octopus had a scheme to destroy the world and once again Silver found herself teaming up with Spider-Man to stop him. During the battle she wrestled with romantic feelings for Spider-Man but was saddened when he told her of his love for MJ Watson. The pair went to an underwater base where she ran right into the Rhino who held her to the floor. She ordered Spider-Man ahead to stop the doomsday device. The Rhino hoped to drown Silver by holding her down as water levels in the base rose. However, she tricked him by turning on the camoflauge in her suit to give the affect that she had vanished. She escaped but was presumed dead by many. For a time Silver uses her deceased status to sneak up on and take down villains. However, her country of Symkaria also believes she is dead and searches for a new protector. They make the terrible of mistake of trusting Countess Karkov who allies with Norman Osborn. The pair take over the country with a Tyranical goblin army. Once again Silver joines forces with Spider-Man to free her country from the clutches of the goblin army. 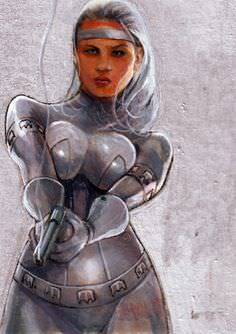 Silver Sable has strong martial arts skills, highly trained in strategy and espionage. She is an expert swordman, marksman and is highly trained in multiple weapons. Silve Sable can speak multiple languages. Will power - Silver Sable has extremely strong will power. She is cabaple or resisting psychic manipulation from telepaths, paranormal entities and gods. It is unclear if Silver Sable has this will super power or if her will power is due to her training. 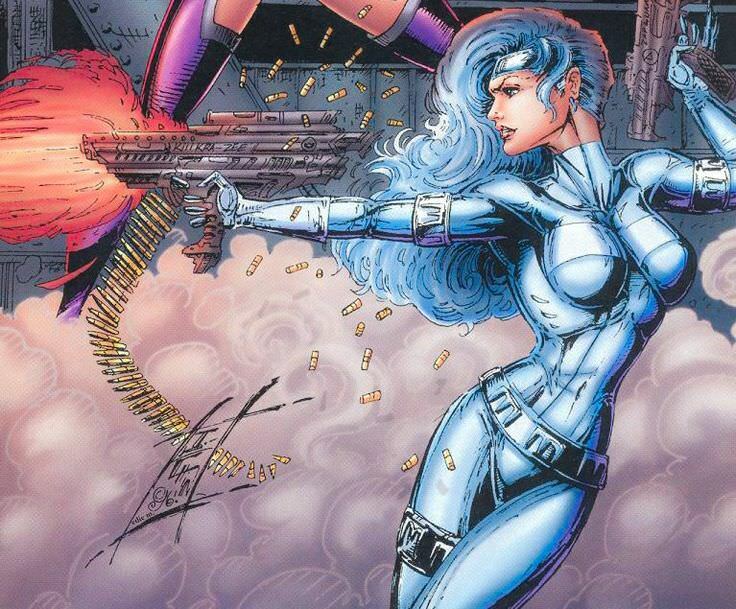 Silver Sable uses a variety of weapons including bladed weapons and fire arms. She also uses a jet pack for transportation. The Silver Sable will be featured in the Sony film Black and Silver.